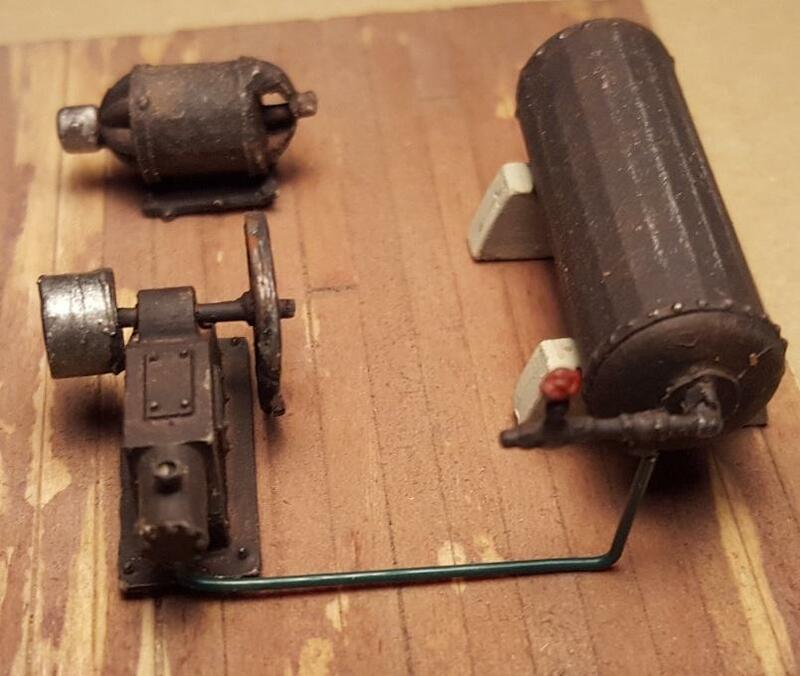 Here is a old time air compressor for your shop or your mining site. 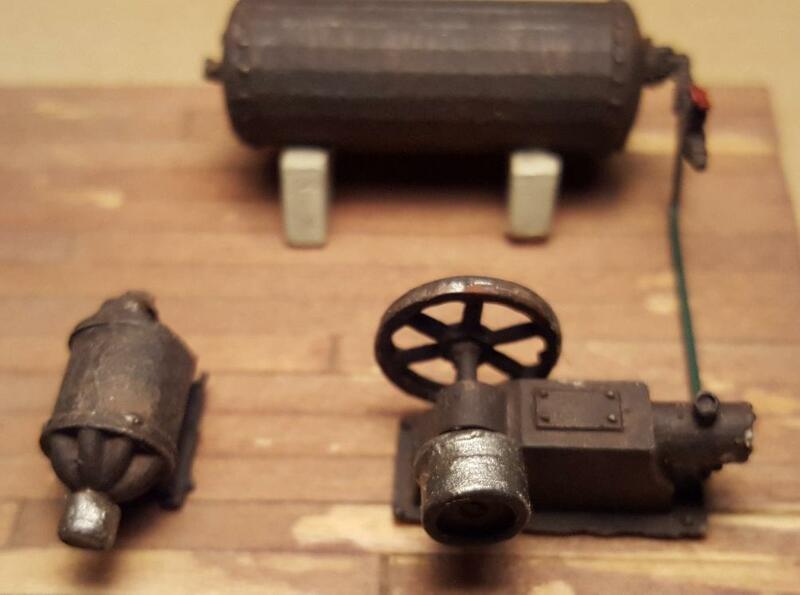 I includes the air tank and air compressor and the electric motor to run it. Also plumping and pipe are included. 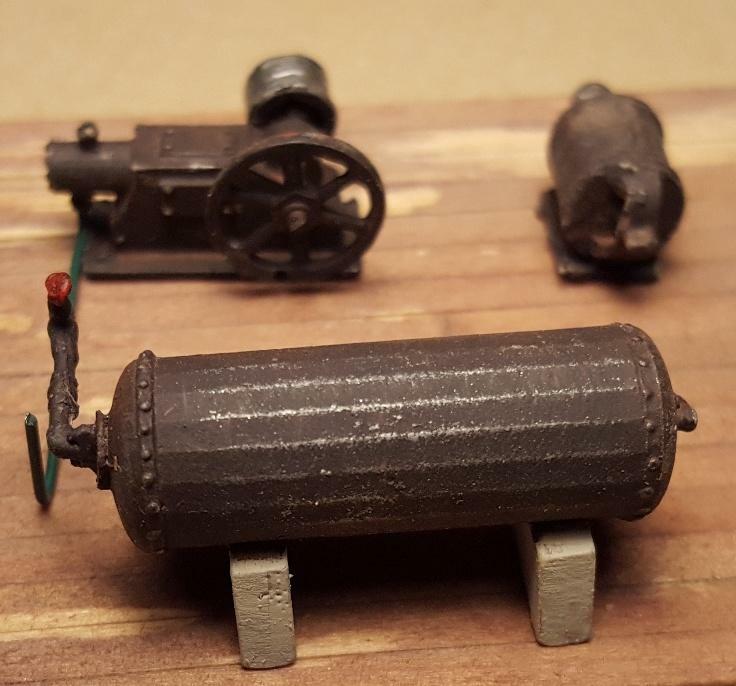 The tank measures 1 1/4" long by 3/8" wide and 5/8" tall, compressor measures 3/4" long and 1/2" wide and 1/2" tall. Castings are sold unpainted and requires minor assembly.